Grew up with Pallacanestro Reggiana (Italy) juniors. Made his debut with Pallacanestro Reggiana, Legadue, during the 2007-08 season. Signed for the 2010-11 season by Pallacanestro Olimpia Milano. On January'11 signed by Scavolini Pesaro. Signed for the 2011-12 season by Olimpia Milano. Moved to Germany for the 2015-16 season, signed by Brose Bamberg. Named to the 2016-17 All-EuroLeague Second Team. Named 2015-16 EuroLeague November MVP. Named 2016-17 Euroleague December MVP. Named 2015-16 EuroLeague Round 5 MVP. 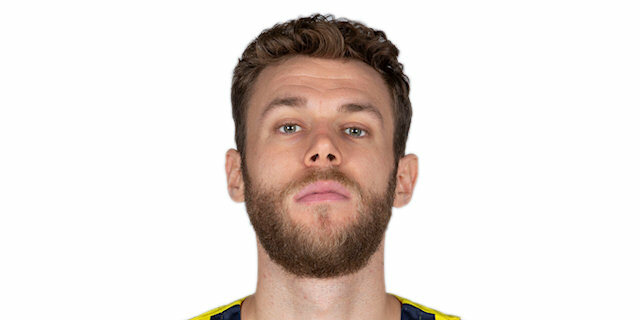 Named 2016-17 EuroLeague Round 11 MVP. Won the 2015-16 and 2016-17 German National Championship with Brose Bamberg. Played the 2011 Italian All Star Game.